MAC suggest using either a latex sponge, a medium to firm fibre brush (such as the MAC 242) or your fingers. Let’s not beat around the bush here - the coverage from this Studio Finish Concealer is incredible. No matter what you need to cover, this will get the job done. 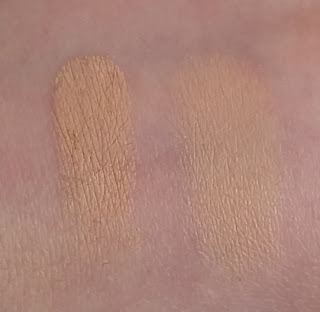 I have used other high-coverage concealers that have began to cake after a while of use, even though they didn’t cake when first originally used. However, I have had no such issues with this one, so that just adds a whole new element of greatness to it (in my personal opinion). It sits well underneath the eyes, covering dark circles well. This also does a fab job at covering up blemishes, in most cases making them look completely unnoticeable. It is a really thick formula, but it applies easily. It is creamy enough to blend it in well but not too creamy so that it rubs off quickly. In fact, the staying power is great. I very rarely find myself having to touch this up throughout the day, so therefore you can feel confident that your makeup is looking as it was when it was first applied. When MAC say that this concealer is so concentrated that you only need to use a small amount, I am in definite agreement. The smallest amount will cover whatever, but you can also build it up if you need to cover up something that is a little more difficult to disguise. Overall, I am so in love with this concealer. I love high-coverage concealers to hide my tired eyes (mum life! ), and this does the job perfectly. Not only that, but whenever my skin decides to be a pain and break out a bit, I know that I have this concealer ready to cover up whatever comes my way. It also lasts a really long time, so you can feel happy and comfortable knowing that you’re covered, quite literally! 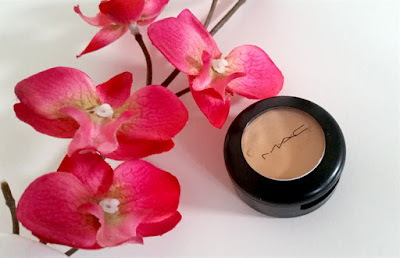 If you are still on the road to find your holy grail concealer and you haven’t yet tried out the MAC Studio Finish Concealer, I definitely recommend that you take a detour to the MAC website to order your shade and try this out. You can purchase the MAC Studio Finish Concealer for £15.50/7g from MAC. 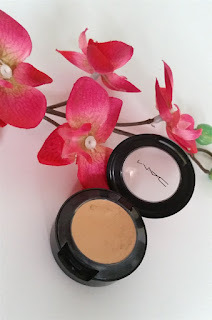 What are your thoughts of the MAC Studio Finish Concealer? What is your favourite concealer?